Discount available! 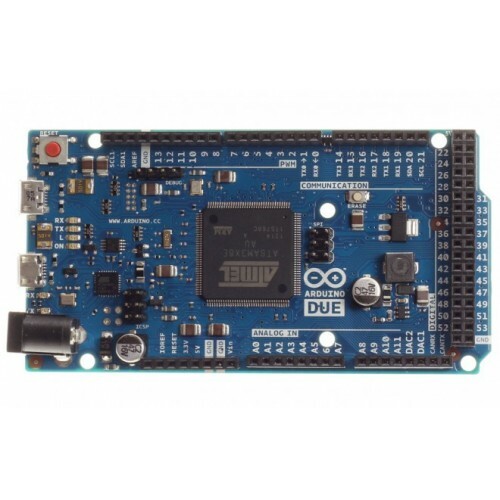 Recommend Arduino DUE to your friends and get your Discount. The Arduino Due is the newcomer microcontroller board in the Arduino boards family. 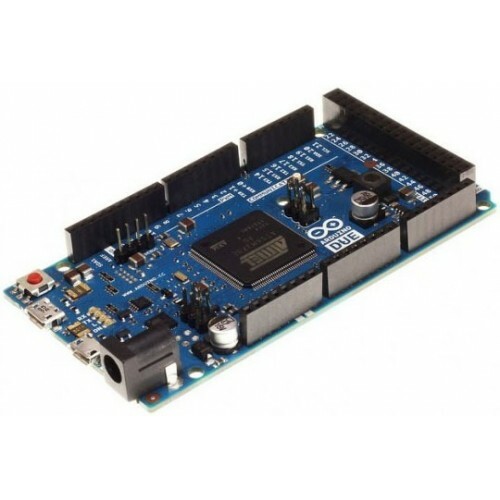 It's the first board based on a 32 bit ARM core processor, the Atmel SAM3X8E ARM Cortex-M3 MCU, that improve all the standard Arduino functionalities and add more new features. It offer 54 digital input/output pins (of which 12 can be used as PWM outputs, with selectable resolution), 12 analog inputs with 12 bit of resolution, 4 UARTs (hardware serial ports), and two DAC outputs (digital to analog converter), 84 MHz crystal oscillator, two USB connections, a power jack, an ICSP header, a JTAG header, and a reset button. The maximum voltage that the I/O pins can provide or tolerate is 3.3V. Providing higher voltages, like 5V to an input pin could damage the board. 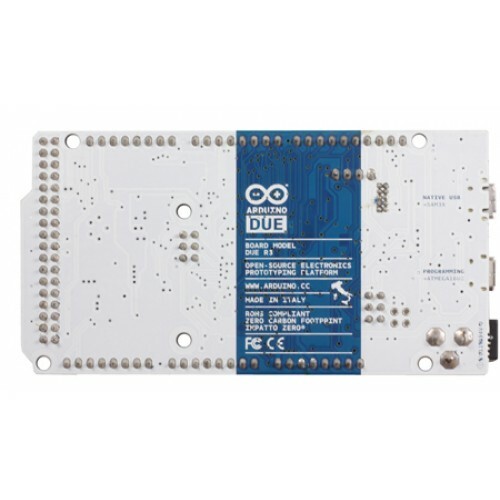 The Due has two usb connectors, the one with the micro-usb B connector is the native one capable to act as an usb host, that means you can connect compatible external usb peripherals to the board, such as mouse, keyboards, smartphones. While the other ubs port with the type A connector is intended for debugging purposes.